« Magazine Cartoons: What’s Wrong With This Picture? Members: RefPack023 Is Available For Download Now! Every other month, Animation Resources shares a new Reference Pack with its members. They consist of an e-book packed with high resolution scans and video downloads set up for still frame study. Members. make sure you download the Reference Packs before they expire. When it’s gone, it’s gone! Get your friends to join Animation Resources! Reference Pack 023 is jam-packed with jaw dropping animation and inspirational drawings. 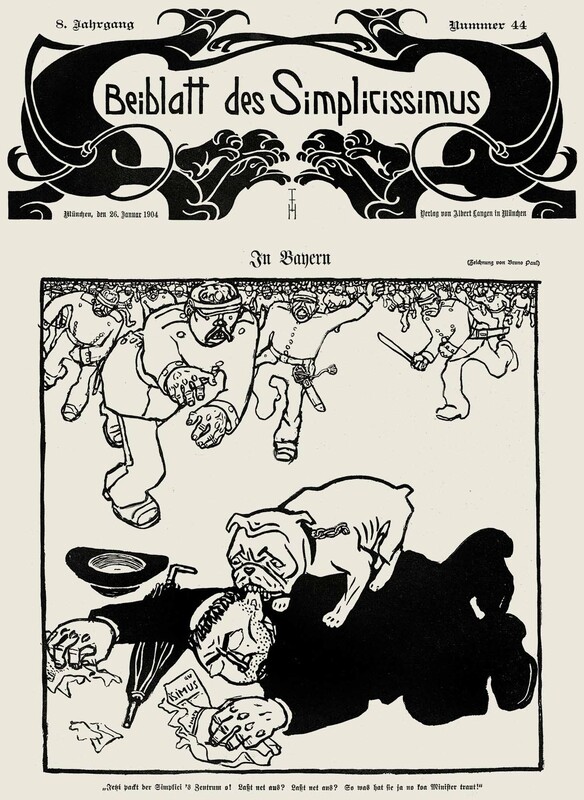 First up is a high resolution e-book of the German satirical magazine Simplicissimus. It was the most audacious and daring caricature magazine of its day, lampooning the stiffness of officers of the military, religion, class divisions, loose social morals and inevitably, powerful political leaders. Based in Munich, the staff of Simplicissimus included some of the best draftsmen and most forward thinking illustrators of the day. This PDF e-book reproduces a little over two months worth of issues from 1904 in their entirety. 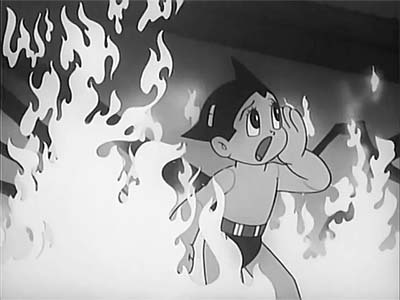 Also included is the pilot episode of "Astro Boy" which established many of the concepts that later became known to be a part of the Anime style. The animation in this pilot episode is a model of economy. Independent animators would be well served to analyze the techniques used in this program. 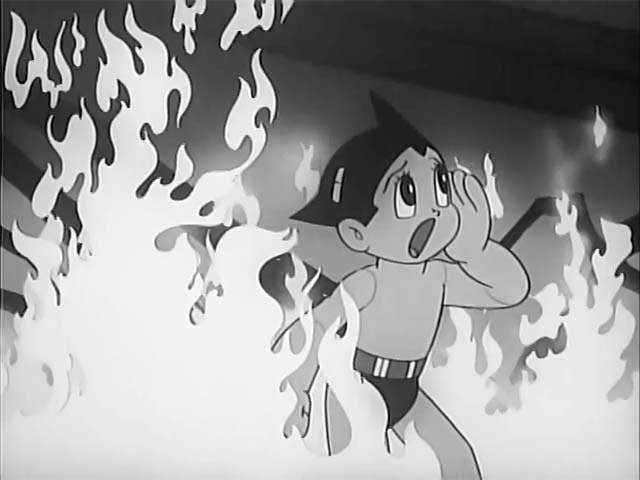 Many of the ideas for streamlining the storytelling and reusing drawings directly apply to the tight schedules required for internet cartoon series. We hope you find this to be useful in your own work. That’s not all! Thanks to our Advisory Board Member Steve Stanchfield, we are proud to bring you a rare Terry-Toons cartoon in HD. Jim Tyer animates the lion’s share of this cartoon and he had his own sense for distorting the characters to anticipate big actions that makes even tired gags seem fresh. Choose a scene that makes you laugh and break it down… study the drawings and timing. Notice how Tyer uses repeating rhythmic cycles of rolling eyes or flapping mouths to heighten the comedy. Volumes change depending on the need of the movement. His animation is less about moving characters through space than it is expressing movement through the characters. That is a totally different way of thinking about how to animate a film. With every Reference Pack, we’ll be including a bonus video or e-book from one of our past Reference Packs. This time there are two bonus videos! Paul Fennell was a pioneer of animated advertising. 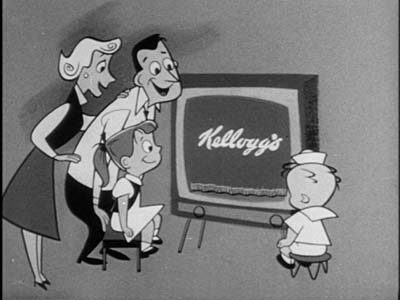 As early as 1939 he was animating the Kelloggs elves- Snap, Crackle and Pop, and continued to direct commercials starring the trio through the 1950s. This reel of animated cereal commercials features Cheerios spots with brilliant layouts by Ed Benedict. 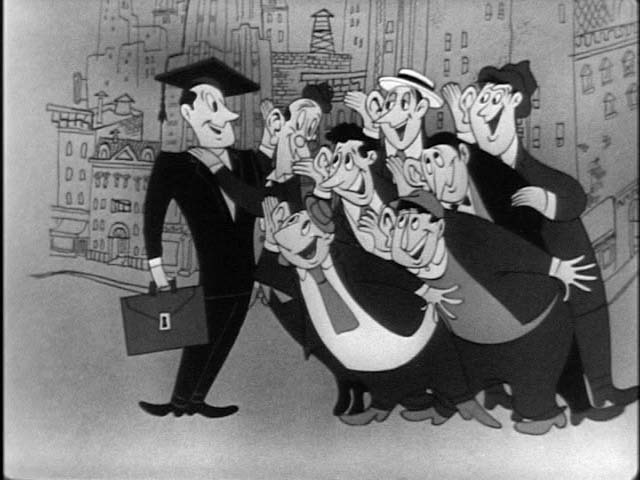 The design and clever limited animation of these commercials foreshadow the style of Hanna-Barbera’s early television series. Industrial films are fascinating to study. Their primary purpose was to educate and inform, but they also needed to hold the audience’s interest. 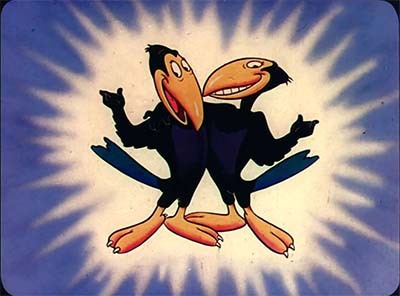 Animation provided the perfect balance of function and fun. This film about tuberculosis was designed with a very specific audience in mind, but was ephemeral- after their audience had been reached with the message, these sorts of films were no longer needed. For this reason, only a small fraction of the number of industrial films produced over the years survive. This great example was created by the Fennell Studios in 1945. Animation Resources is dedicated to helping creative artists raise the bar for the art of animation through self study and research. Reference Pack 022 pulls out all the stops with an hour of rare animation and a 146 page downloadable e-book. If you aren’t a member of Animation Resources yet, YOU SHOULD BE! This entry was posted on Tuesday, August 7th, 2018 at 12:00 PM	and is filed under Uncategorized.